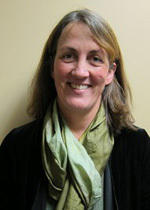 Holly D. Craig, MD joined Whitney Internal Medicine in September 2002. She graduated from the Yale School of Medicine with an M.D. and Ph.D. in 1999 and completed her residency in Internal Medicine at Yale New Haven Hospital. Dr. Craig is from the Boston area and has lived in Connecticut since 1992. She now lives on a small farm with her husband and two children. Dr. Craig is not accepting new patients at this time.